Scroll past the 2013 Chevrolet Silverado review video below to start reading about the new Silverado. As the chief Chevrolet franchise in Springfield it is our job to serve our customers with Chevrolet reviews authored by the most outstanding Chevrolet writers in the world. The following article is brimming with accessible facts- it contains everything so that you can make knowledgeable decisions about the Chevrolet you want to buy. Good luck on your Silverado search! Compare the 2013 Chevrolet Silverado next to vehicles like the 2013 Dodge Ram, Ford F-150, GMC Sierra 1500 and the Toyota Tacoma, and you'll see that the Silverado wins over the competition in oodles areas. Catch a glimpse of our Quick List below to find out why! 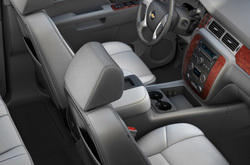 Don't look to a aftermarket car repair shop in Springfield when Reliable Chevrolet's fantastic Silverado experts are only a brief cruise away from most any place. We also offer a generous warranty on our jobs - more than most aftermarket shops do. 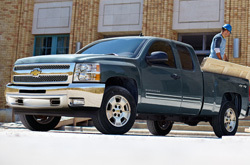 Reliable Chevrolet's skilled mechanics will keep your Silverado in outstanding shape. Whether you come for quick multi-point inspections, a effortless tire rotation and checks or anything else, we'll complete your Chevrolet repairs with ease. It's clear: If you want professionals service and bargain repair prices in Springfield, make Reliable Chevrolet your first stop for Chevrolet vehicle maintenance. You can search for coupons on our website at the succeeding link.